External nose. A triangular-shaped projection in the center of the face. Nostrils. Two chambers divided by the septum. Passages are lined with mucous membranes and tiny hairs (cilia) that help to filter, humidify and warm the air. Nasal Septum. A wall made up of cartilage and bone and covered by mucous membrane which divides the nasal cavity into two passages. Turbinates. Tiny bones covered by mucous membranes on the internal sides of the nasal cavity. Sinuses. Four pairs of air-filled cavities that are also lined with mucous membranes. 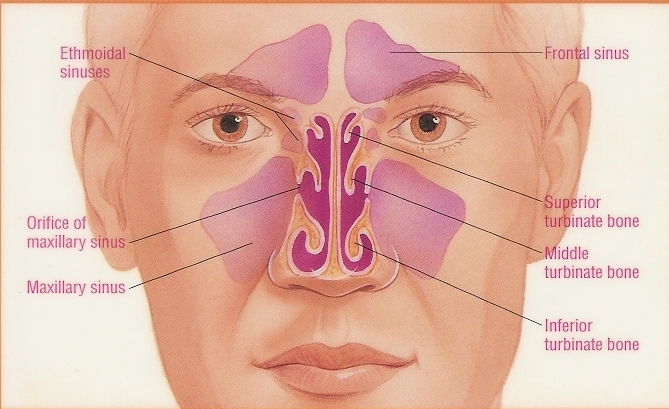 Gradual worsening of blocked nose over time may indicate a chronic allergy, nasal polyps or inflammatory condition. A long history of clogged nose, especially following trauma, may be due to anatomic obstruction such as a deviated septum or abnormally enlarged turbinates. Treatment may be as simple as a decongestant or antihistamine, a medicated nasal spray Or may be surgical such as polyps, nasal septum deviation, and turbinate enlargement not responsive to medical therapy. Deviated septum: A wall of cartilage divides the nose into 2 separate chambers is called nasal septum. A deviated septum is when this wall is shifted away from the midline. The most common symptom from a deviated septum is trouble breathing through the nose and blocked nose. The symptoms are often worse on one side. In some cases, normal sinus drainage is affected. This can result in repeated acute sinusitis or chronic sinusitis. Nasal Polyp: Nasal polyps are abnormal, soft growths in the nose or sinuses. They are swollen bulbs of inflamed tissue, attached to the nasal lining by thin stalks. Acute Sinusitis is defined as inflammation of the paranasal sinuses (the air-filled spaces within the bones of the face and forehead.) Acute sinus infection symptoms are blocked nose, facial pain and pressure, discolored nasal discharge, pain in the teeth, ear pressure and fatigue, sinus headaches. Chronic sinusitis refers to symptoms which last for more than 3 months despite medical therapy. Sinusitis symptoms are blocked nose, sinus headaches, facial pain, and pressure behind the eyes, and thick post-nasal drainage. 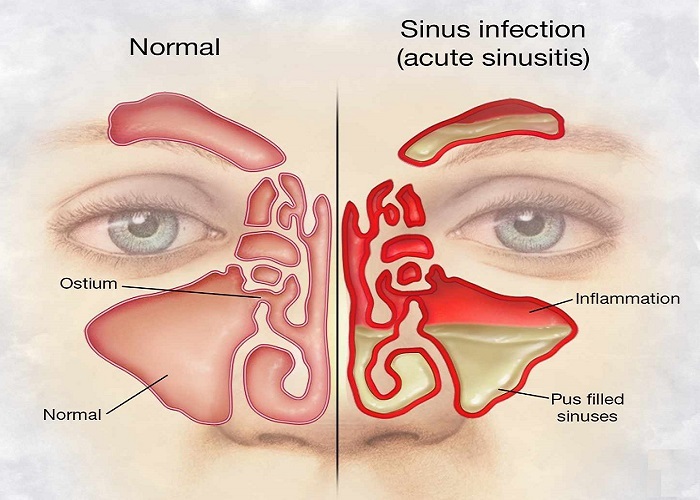 Sinusitis treatment is mostly medical therapy,but in chronic cases sometimes sinusitis treatment may be surgical. Allergic rhinitis is caused when allergens in the air trigger the release of histamine in the body. Histamine causes itching, swelling, and fluid to build up in the fragile linings of the nasal passages causing cloged nose, runny nose, sneezing, and itching. Nosebleeds (epistaxis) are a common problem. The nose acts to warm, filter, and humidifies the air we breathe and requires a large blood supply to do this. The skin inside the nose is fragile and filled with blood vessels. That’s why even a slight injury to the nose sometimes may cause bleeding. Hard nose blowing, dry winter air, colds, and nose-picking can also cause nosebleeds. Medicines such as aspirin, and other blood thinners can make it more likely to have a nosebleed that is difficult to stop. 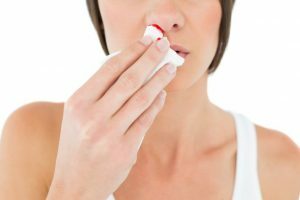 Most Nosebleeds are merely a nuisance and are treated at home, while a small minority requires prompt medical attention for repeated nose bleeds or life threatening episodes of bloody nose. It is a commonly performed procedure in the otolaryngologist’s office and serves as an objective diagnostic tool in the evaluation of nose, sinunasal anatomy, and nasal disorders. It helps to examine the inside of your nose and sinuses. The test takes about 5 to 10 minutes. Medicine will be put inside your nose to reduce swelling and numb the area, after the nasal endoscope will be inserted into your nose. 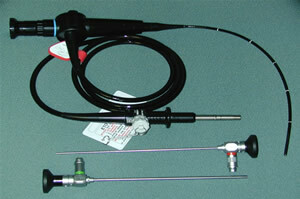 This is a long flexible or rigid tube with a camera at the end; Pictures may be projected onto a screen. Nasal endoscopy may be accomplished with either a flexible fiberoptic endoscope or a rigid endoscope When performed by experienced practitioners, both flexible endoscopy and rigid endoscopy are usually well tolerated. Trimming of abnormally enlarged inferior turbinates and it is done to improve nasal breathing, decrease nasal stuffiness and reduce snoring. 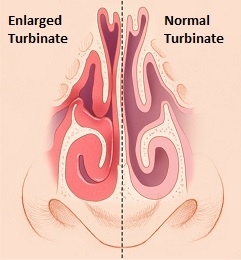 The turbinate’s size may be reduced surgically by radiofrequency or sub mucous shaver. Submucosal reduction decreases the size of the turbinates while preserving the warming and humidification function of these structures, thus improving airflow with minimal disruption of normal function and with the preservation of nerve endings and mucus producing glands. Septoplasty is a reconstructive surgery done to correct a nasal septum deviation. The procedure is performed internally, through the nostrils, without the need for external scars. Nasal packs are sometimes inserted into nostrils to prevent the buildup of blood between the cartilage of the nasal septum and the lining. After nasal septum surgery you cannot fly for two full weeks. We ask that after any surgical procedure you do not travel for two weeks. Use nasal saline spray/gel at least three times a day following septoplasty. You can use it up to 6 times a day. 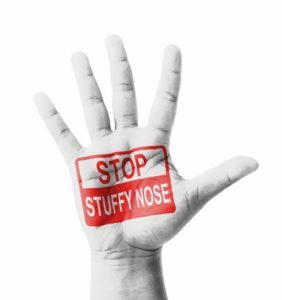 No bending, lifting, and/or straining for 7-10 days following your nasal septum surgery. Do not lift over 10 lbs for 7-10 days following surgery. Make sure your post-operative appointments have been made. The scheduler will tell you when you need to be seen following your deviated septum surgery. It is normal to have some bleeding/blood tinged mucous after deviated nasal septum surgery. Most bleeding from the nose will be the day of and the day after the procedure. If you are completely soaking your drip pad more than every 10 minutes or If you feel you are having excessive bleeding use 2-3 sprays of otrivin in both nostrils (even if bleeding from only one) and gently pinch nose just above nostril openings. You can repeat this process for a total of 3 times. Any bleeding that can’t be controlled should be evaluated in the ER right away. Keep in mind it takes 2-3 days for all the swelling to fully set in. You will notice an increase in congestion/pressure and possibly pain in the nose. It is the normal healing process. The more active you are the more swelling you will have. Don’t blow your nose for 12 hours after the bleeding stops. This will allow a strong blood clot to form. Don’t pick your nose. This may restart nose bleeds. Don’t drink alcohol or hot liquids for the next 2 days. Alcohol and hot liquids can dilate blood vessels in your nose. This can cause bleeding to start again. Don’t take ibuprofen, naproxen, or medicines that contain aspirin. These thin the blood and may cause your nose to bleed. You may take acetaminophen for pain, unless another pain medicine was prescribed. Don’t overheat your home. This can dry the air and make your condition worse. Don’t pick your nose. Keep fingernails trimmed to decrease risk of bleeds. If the bleeding starts again, sit up and lean forward to prevent swallowing blood. Pinch your nose tightly on both sides for 10 to 15 minutes. Time yourself. Don’t release the pressure on your nose until 10 minutes is up. If bleeding doesn’t stop, continue to pinch your nose. Call your healthcare provider.